It’s been a busy few weeks. I’ve been knitting, albeit less frequently and simpler projects. 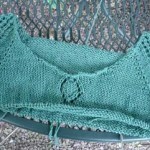 I’m making decent progress on Buttercup – I split the yoke for the body yesterday. I’m now in the “knit, knit, knit” portion of the body, which is exactly the kind of autopilot knitting I need right now. 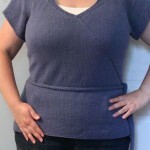 A few weeks back the Spring/Summer 2012 Knitty came out and I was mildly obsessed with Gemini – a top down pullover with just enough lace to dress it up. I even have the right yarn for it – GGH Bali. I love top down and I thought this might be the right pattern for my next garment project. After spending some time with the schematic though, I can see the pattern suffers from a common grading issue with top down patterns. The larger sizes are not scaled properly. For example, the 42.25 bust size has a 9.75″ yoke depth, and a 19″ sleeve circumference. They’re much too large in proportion to what the typical 42.25″ bust size will have. I say “common grading issue” because the pattern is sized up in a typical fashion – as the bust increases, the yoke depth and arm circumference increases at the same rate. The problem is that bodies don’t grow at the same rate – the bust grows faster than the arm or yoke depth. Think about the extreme example – do waists gain as much size as a pinky finger as a person gains weight? Of course not! There are ways around this. You have to alter how frequently you increase body sts versus sleeve sts on a raglan. And you have to modify where you start the raglan in relation to the neckline. Take a look at the below illustration. Does this all seem like Greek to you? Well I have a real world example for you! Buttercup – a free pattern – does exactly what I show in my illustration. Heidi grows the body at a different rate from the sleeves – allowing the body to grow to the body size without sacrificing well-fitting sleeves. She does this by increasing the body every other row, while increasing the sleeves every 4th row. And it works! I’m knitting the 43″ size and it has 12.6″ sleeves. Compare that to the 19″ sleeves on Gemini! 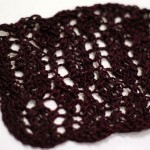 Now the good news is you can learn from Buttercup and adjust any top down pattern to use modified increases. You’ll achieve the look of the design without the poor fit. And that’s exactly what I plan to do if I knit Gemini. Questions? I’d love to help you out. This is a topic I’m passionate about. Top down doesn’t have to fit poorly in larger sizes! Interesting post – thank you! Can’t wait to see the sweater. YES!!! 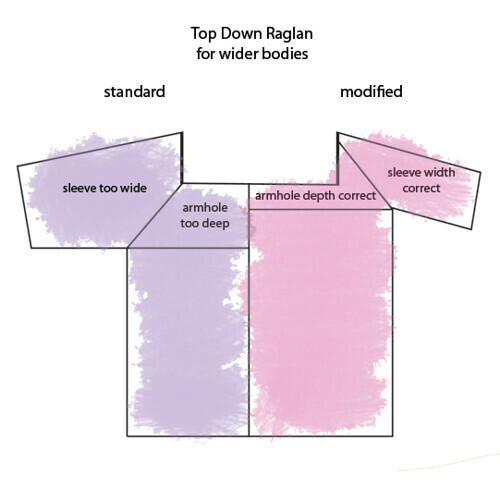 So glad that some top-down raglan patterns are addressing this, and awesome illustration about how to modify those which don’t. 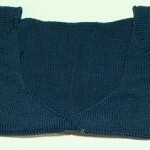 I am knitting a top-down seamless drop shoulder sweater for a size small friend. I finished the body and one sleeve before I tried it on my medium/lrg sized body to see how it fit. Waaaaaay too much fabric in the underarm, and I guess sleeve top in general, now that I’ve read your excellent article. If I tink the sleeve, can I simply clost the underarm to reduce the armhole somewhat? Thanks very much. 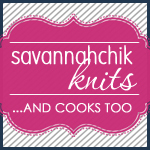 Your page was sent to me by someone at the Knitters’ Review Forum. I’m in need of some help! lol Would you be able to email me. I’ve got some questions too long to post here.